We have yet to see the shadow of the Palm Pre land here in the UK but over at the US, Palm has already introduced the follow up to their Palm Pre: The Palm Pixi. Though the Palm Pixi has a very sissy name, it promises to deliver the same UI as the Palm Pre since this device sports the same OS. 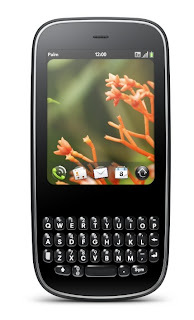 Like previous Palm handsets, the Palm Pixi has a rounded design but unlike the Palm Pre, it's a candybar phone with physical QWERTY keypad, similar to the Palm Centro. However, unlike the Pre and Centro, the Palm Pixi is a very thin mobile phone but only a 2.63 inch screen and 2 megapixel camera. Palm also announced a limited edition Pixi artist series mobile phones with different designs from different artists. Sprint is again getting the exclusive deal on the Palm Pixi in the States with availability set around the Holidays. But come on, the Palm Pre was like six months delayed, right, so we'll probably be seeing the Pixi next year and it would probably land here in Europe during the second half of next year. Pricing is yet to be announced. I really really like the Pre, though not enough to keep me from getting the Droid however. WebOS is great, and the multitasking is great (im basing this one my Pre experience), but I have two major problems with this phone.